What does handicapped LOOK like? 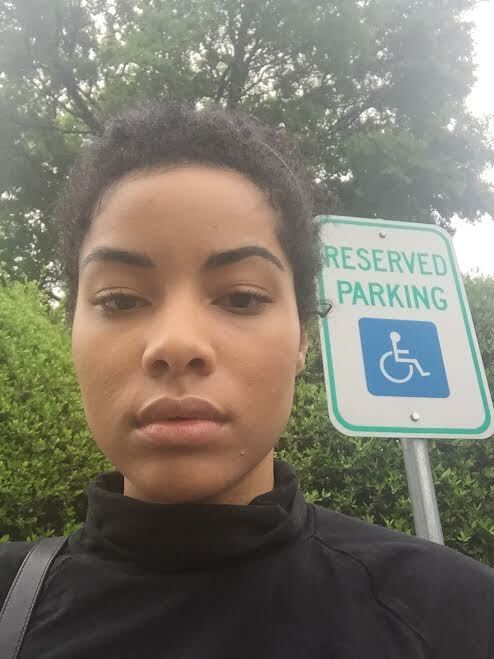 I’ve had a handicap placard for the past 4 years, and rightfully so. Unfortunately, however, I have had my fair share of conversations with both friends and strangers in which I had to explain my reasons for having one–and using it almost everyday. No, it’s not just for a better spot. The definition of handicap according to the Oxford Dictionary, is a condition that markedly restricts a person’s ability to function physically, mentally, or socially. Keep this in mind next time you watch someone step out of their handicapped-parked car. Maybe they did take their mom’s placard to get a better spot in the lot, but maybe they didn’t. There are literally thousands of illnesses–whether they are mental, physical, or social–which affect many people around you. Sometimes you cannot see it. Just because the handicap symbol is a person sitting in a wheelchair does not mean that every person who needs one also mobilizes in a wheelchair. Mine is because of my illness–I have chronic fatigue that slows me down each and every day. Because of this, I am always tired and exhausted, so I get winded easily while walking. Every so often I deal with confused stares or the occasional “Hey! You know you parked in a handicapped spot, right?” It’s heartbreaking how ignorant some people can be. I wish people would open up their minds more and realize that a symbol is just that–a SYMBOL. It doesn’t represent EVERY SINGLE PERSON that falls into that category. We don’t all get around in wheelchairs, but that doesn’t make us any less disabled or handicapped. I’m not a judgemental person for many reasons but sometimes I do have to admit I need a person to explain things to me so I can try to understand what they are going through. Is that bad? Previous will you fight with me?